Thank you for your interest in Pennies 4 Pandas, a program of Pandas International. 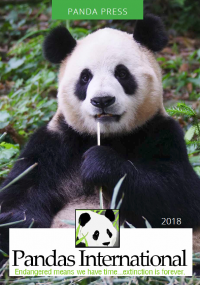 We are delighted that you are joining us in your own Pennies 4 Pandas program to help the endangered pandas by supporting bamboo reforestation. To the left, you will find links to various educational resources. We hope you find these links and materials useful in your efforts to learn more about the giant panda and raise awareness of their current struggle to find enough bamboo to eat. In addition, we have put together a number of documents and materials to help in putting your program together.